From Aristotle's unusual domestic relationships, and the worries of a hungover Ptolemy, through a mysterious crime in late medieval Rome, and Christopher Columbus' troubles with the Spanish court, to the difficulties of finding an appropriate memorial to Newton, Marc Read's first book is a collection of twenty short stories, giving a down-to-earth and very human account of the important scientists and visionaries from the history of astronomy as the search for the truth about the Universe. 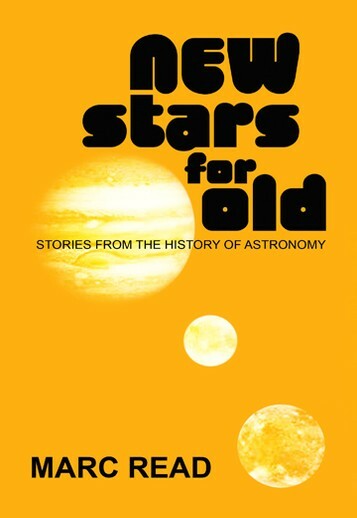 Fusing historical fact with dramatic fiction, New Stars For Old is a ground-breaking, informative and hugely entertaining book that will appeal to fans of popular science and puts flesh on the bones of the characters that created it. Will appeal to fans of Brian Cox, Bill Bryson and Lucy Worsley.